Bio: As co-founder and a board member of Prepare.ai, David is passionate about applications and industry thought leadership around AI. 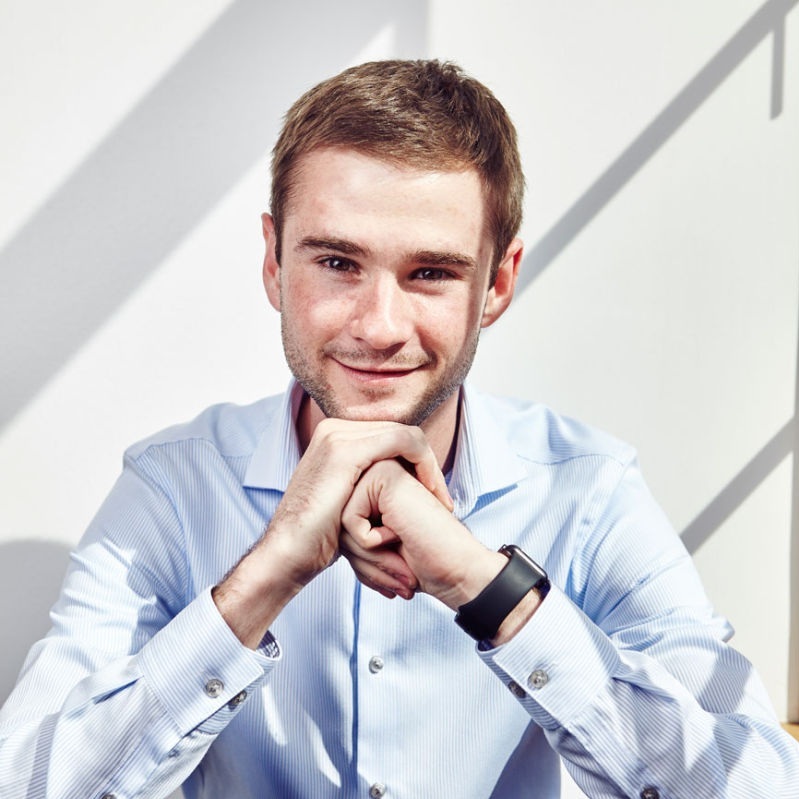 He is a serial entrepreneur in the technology space, co-founder and CEO of Jane.ai, as well as a board member for Varsity Tutors and Create a Loop. He is a computer scientist and businessman with 17 years of experience building technology companies, focusing on Online Advertising, SaaS, and Artificial Intelligence. Session: Tony has applied an arsenal of data science and behavioral research techniques to tackle complex, nonmarket issues at clients like IBM, Airbnb, Ford, and Nestle. In a series of fascinating case studies and data exploration, he will examine the societal shifts in perception and behavior that have led to the rise of AI, what may impact the acceptance or rejection of this technology and what business leaders need to know in addressing societal concerns. What are the trends, what are the fads and where will AI have the greatest impact? Bio: Tony is the Vice-Chairman and Founder of evolve24, a decision sciences and predictive analytics company that drives greater certainty in strategy decisions. His 30-year career includes serving as a Director of market analytics for a global biotech company and leading strategy as the Chief Innovation Officer for a major sales and marketing services organization. In addition to his role with evolve24, he serves on the faculty of the Olin Business School at Washington University in St. Louis, where he lectures on applying big data, AI, and data sciences to make enhanced strategy decisions in the face of disruptive externalities shaping a business or the societal environment in which it operates. In building evolve24, Tony has steadily grown and developed the company into an industry leader in expert statistical data research, analytical strategy initiatives, and behavioral and social science methodologies. Bio: Dave Costenaro is Executive Director at Prepare.ai and the Head of Artificial Intelligence R&D at Jane.ai, where he helps to set the research agenda and apply the latest techniques in machine learning and natural language processing. He brings a multidisciplinary perspective to his work based on a background in neuroscience, engineering, and business and 15+ years applying data science and computer modeling at companies like Boeing and Ameren. He is passionate about harnessing technology and economics to drive positive change, and sees the Prepare.ai Conference as a way to galvanize St. Louis's strength in AI and data science into a national and global hub. Session: This session will explore how AI will change the consumer experience; from big data, personalized services, always-on predictions, and more. We'll also discuss the implications for privacy, regulation, ethics, and human-machine interaction. Session: Data science and intelligent automation are growing trends that are poised to dramatically disrupt the business world - reducing costs while creating strategic insights into the design of customer and employee experiences. The talk will focus on the place where data science intersects with design; how the two disciplines inform each other and why they are better together than apart. Bio: Jeromey Farmer is a pioneer who can drive his vision to execution. Clients and consultants describe him as a leader, mentor, teacher, learner, inventor, scientist, creator, and trusted advisor. He is a proven strategic business leader and developer of talent, both as an educational practitioner and visionary leader at Slalom. Jeromey leads the Slalom Information Management and Analytics practice to deliver data solutions across the entire spectrum of big data: business intelligence strategy, data management, information governance, visual analytics, advanced analytics, machine learning, AI, and predictive modeling. His vision is to position St. Louis as the true gateway for the evolution of enhancing the human experience through technology. Session: We’re finally here! We’re living in the future we always dreamed about and that our parents never thought would ever come. We literally have machines deployed for us, representing us, and all around us … and they do stuff for us and bring us things! We trust our machines, too. We have built them to do intimate, human things: to connect us, to offer lifelines, to find us love, to understand our DNA, to make us healthier. We’re so lucky! BUT. As we use machines more and more to represent us, do we lose a portion of our own humanity? As the technologists that build these machines, do we lose more of our humanity in the delivery? Do we build machines to represent the people that we are, or do we impersonate machines? In “How to Build a Nicer Machine: The Movement to Humanize Data and Interactions” we’ll reflect upon where we are as a society of technical consumers and builders to explore the challenge of building machines more like us and to consciously, actively choose to become less like robots. We’ll explore a humanization framework that includes tangible ways to humanize the data we use to deliver meaningful digital interactions. Christina Vallery: Christina joined Express Scripts in the summer of 2016 with a purpose-driven focus on applying a design thinking mentality to the problems facing healthcare and with a mission to do work that contributes to the broader world community. In her time at Express Scripts, she’s engaged in a long-term build of the design system of the future: one that applies human feeling in its expression. 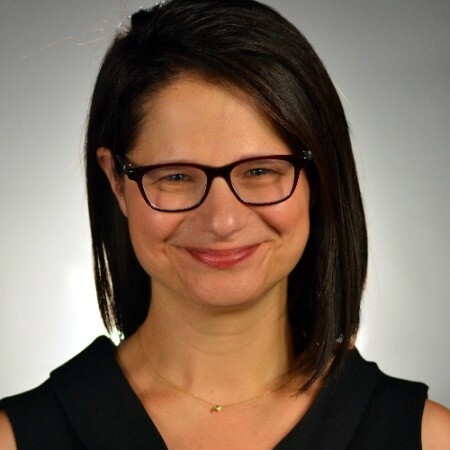 Danielle Smith: Danielle joined Express Scripts in 2016 because building a team tasked with keeping part of the healthcare experience grounded in the values, needs, and abilities of patients sounded like the kind of crazy-ambitious-noble mission that she loves. Over the past 3 years, that mission has helped to move Express Scripts that much closer to providing a service that feels human. Danielle uses her training as a social scientist coupled with her prior experiences in product market research consulting and technology development to build a cohesive approach to experience insights – uncovering and combining qualitative and quantitative insights in ways that help shape digital experiences that deliver care. Session: In this talk, Kay Apperson will highlight the values of Smart Manufacturing which is one of the cutting-edge pillars that enable the Industry 4.0 time that we are in. In addition to honing in on the Vision AI used in a Fiber Optic Cable Defect Detection project in collaboration with MIT, she will walk through key real-world use cases in Smart Manufacturing. Those use cases will center around two AI solutions -- Predictive Maintenance and Defect Detection. She will discuss in-depth the Big Data enterprise-grade architecture necessary for these solutions. For the Vision AI application that is powered by Microsoft Azure Cognitive Services – Custom Vision, she will walk you through the actual application that was built for the MIT project. Since the fiber optic problem is a more challenging problem to solve using Vision AI due to the nature of the object that is a very thin line, the demo of the application will underscore the level of success that AI could achieve to date. A goal of the Vision AI application is to categorize in real-time on the plant floor with high accuracy whether a fiber optic cable is produced correctly or it is a defect. Bio: Kay Apperson, PhD is a Data Solution Architect and Data Scientist at Microsoft U.S. Manufacturing. She’s worked with many U.S. manufacturing and automotive companies to successfully transform their manufacturing decision making using a data driven IIoT approach. Some of the benefits the companies gain are such as preventing machine downtime, reducing or eliminating unnecessary maintenance, improving safety, improving production planning, and reducing scraps and wastes. In 2008, Kay received a PhD in Computer Engineering and Computer Science with a dissertation in data mining. During the research time, she won 1st prize winner awards from a couple of knowledge mining competitions. Some of her past employers are such as Centene, Monsanto, Harvard University, and Massachusetts General Hospital. Session: Email campaigns are the lifeblood of marketing departments in various industries. There is always room for improvement, and no shortage of ideas. But when your team grows, how can you be sure everyone is improving in the same direction? With so many directions to move in, how can you be sure that the improvements you're making this month aren't undoing the improvements made last month? Better than just measuring improvements, can you be sure that everyone is improving together? The volumes of data all of us are expected to work with are growing daily, and the complexity of the decisions we are expected to make is increasing too. NBS has developed techniques based on a Bayesian framework to help reduce the cognitive load required for consistent, productive decision-making. Conor will walk through an example of a company NBS has worked with to measure email marketing metrics. He will give a brief introduction to Bayesian frameworks as compared to traditional, frequentist frameworks. From there he will dive into how you can encode your Marketing department's assumptions and instincts into a metric that give everyone the best chance to make the right decision. 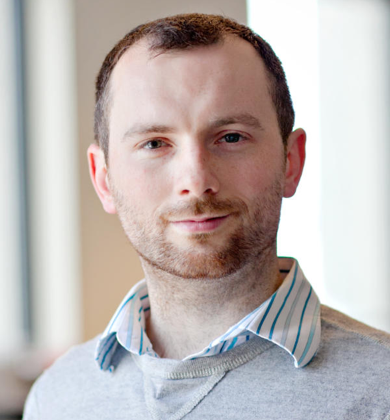 Bio: Conor is passionate about solving problems with data. Having seen first-hand how fast growing startups solve data challenges (Upsight, Revinate, Gainsight), he knows the playbook for success. He founded NBS to give your team the tools and techniques of the top data-driven companies. Session: Trends in technology and culture always bring vested interests with them and in a fast-changing world these seem to appear almost overnight. Eisenhower pointed out the emerging military-industrial complex, my cantankerous grandfather pointed out the emerging wedding-industrial complex, and now Tim Cook has pointed out the emerging data-industrial complex. In this most recent edition, it is not our bombs or our gowns becoming locked into an iron triangle of money and political influence but in some sense our very selves. However, there is plenty we can do to take back the initiative. In my talk I will give an overview of progress in areas like homomorphic encryption and private computation before explaining how these technologies enable business models that restore privacy and data ownership to the consumer. Bio: Alexander C. Mueller is an ancient Saint Louis townie, a PhD mathematician, the CEO and founder of Capnion, an occasional machine learning practitioner, and a tireless schmooze on a mission to protect consumers using innovative cryptography. Session: Food demand is estimated to grow approximately 70% worldwide by mid-century. Plant breeders strive to create new crop varieties with higher yield potential and more tolerance to environmental constraints. However, often been compared to finding a needle in a haystack, crop breeding represents a challenging search problem. Field robots and machine vision may help overcome the resource limitation and empower the breeders to make better and faster selections based on data. In this session, Jia will share her experience leading a project to explore feasibility of using a compact artificially intelligent robot, TerraSentia by EarthSense, to acquire RGB images of wheat plants at ground level and to predict their phenotypic trait value using deep neural network. Bio: Jia is a senior project manager on the Digital Innovation Accelerator (DIA) team at KWS, an agricultural company based in Germany that focuses on plant breeding and seed sale. She initiates and manages proof-of-concept projects to evaluate emerging digital technologies in collaboration with external startup and corporate technology providers. She also stimulates and champions digital innovation at a global scale within the company. Previously working at Monsanto and the Climate Corporation, she has always been passionate about developing digital products and data-driven strategy for agricultural innovation. Jia received her Ph.D. from the Ohio State University. Session: Women hold only about a quarter of data jobs in the United States. Why is this number so different than the 50% you would expect? What challenges and obstacles stand in the way of women in high tech, and what is being done about it. We will hear from talented women that live and breath these questions in the primary and higher educational spaces, in a high tech startup, and in a large enterprise. Session: This is an exciting time in health care because of Machine Learning and Artificial Intelligence (AI). Cloud services and modern processing power have helped technology catch up to the research and theory behind AI. Health care organizations can now turn to the most advanced Machine Learning tools and techniques to streamline patient care workflow, identify new treatment plans, and automate diagnoses. Health care organizations and their data scientists are often well-positioned to leverage their data to create insights, ultimately, to inform and automate health care decisions. The revolutionary potential of Machine Learning and AI makes many organizations eager to put them into practice. However, the haste to apply Machine Learning can be challenged by a number of factors. These challenges can arise, not because of limitations of the technology, but from issues surrounding the project itself. To help illustrate these issues, we will walk attendees through a case study from work 1904Labs is doing with Mercy Virtual. This case study involves building a solution to predict one of the questions every health care company wants to know: the likelihood of hospitalization. Drawing on real world experience applying Machine Learning with leading global enterprises, we will explore some of the factors that challenge Machine Learning, discuss how to recognize when you "out-science" your problem, and what to do when you are faced with this realization. Join us as we explain the challenges we faced in training a machine to recognize high, at-risk patients, the hurdles encountered along the way, and how we moved forward. Session: In NASCAR, everything happens fast, whether it’s a lap, tire changes or refueling. Crews have to quickly recognize opportunities and be empowered to make real-time decisions. WWT is helping make this a reality for Richard Petty Motorsports through data analytics, software development, and AI. 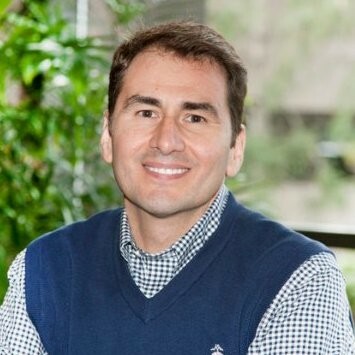 Bio: Chris Infanti is a Senior Engagement Manager in World Wide Technology’s Business and Analytics Advisors group. 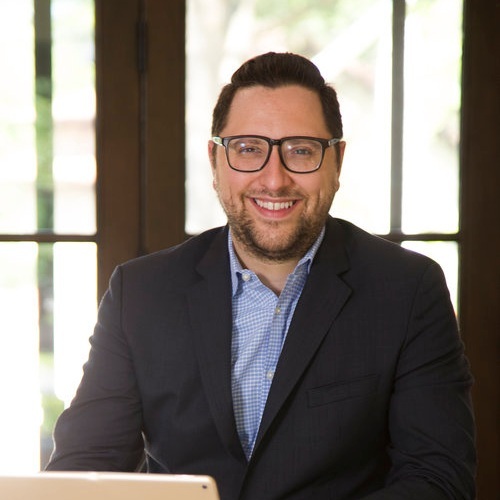 He brings 12+ years of analytics consulting and delivery experience, working with a variety of Fortune 500, education, and government customers. 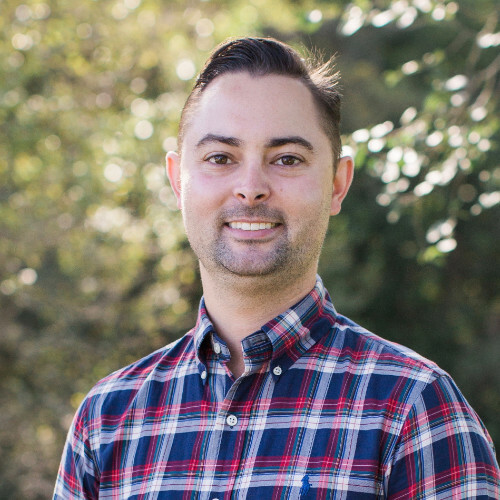 Chris was formerly an engagement manager at Opera Solutions, a data science consulting firm focused on delivering business-outcome focused analytics for customers. Prior to that, he was a consultant at IBM Global Business Services, focusing on the implementation of large-scale data warehouses for state and local government customers, including data modeling, ETL and reporting. Chris has a Bachelor’s Degree from Georgetown University, with majors in Mathematics and English Literature. Session: This session will show how interpretability tools can give you not only more confidence in a model, but also help to improve model performance. This talk will cover best practices for using techniques such as feature importance, partial dependence, and explanation approaches, such as LIME. Along the way, we will consider issues like spurious correlation, multicollinearity, and other issues that may affect model interpretation and performance. The talk will use easy to understand examples and references to open source algorithms to illustrate the techniques. Bio: Rajiv Shah is a data scientist with DataRobot and an Adjunct Assistant Professor at the University of Illinois at Chicago. He has previously worked as a data scientist for State Farm and Caterpillar. He has a PhD from the University of Illinois at Urbana. Session: The idea that software can simulate the brain’s array of neurons is decades old, yet still confounds modern researchers. We sought to understand this process by studying the visual cortex within the brain of a mouse. We then applied our findings to image classification tasks and characterized information transfer in different deep network architectures to evaluate their performance. Today, we demonstrate the findings of our research and share how you can combine the best parts of those architectures to build and optimize neural networks. Dr. Jason Bull: As Vice President, Machine Learning for OCI, Dr. Jason Bull contributes more than 20 years of experience and extensive expertise in transformational technology to help clients reimagine business opportunities and develop new product lines. He intuitively envisions machine learning solutions that result in new value for customers and measurable company growth, and he brings a visionary, analytics-driven approach to his quest to co-create a better future. Dr. Mehdi Kafashan: Machine learning and artificial intelligence specialist, Dr. Mehdi Kafashan, is a Data Scientist at OCI, currently engaged in an initiative to characterize and optimize deep neural networks using information-theoretic approaches. Prior to joining OCI, Mehdi worked on decision-making problems under uncertainty as a Postdoctoral Research Fellow at Harvard University. Session: Discussion regarding how AI and Cybersecurity can effectively converge out of one necessity to “remove hay from the haystack” so as to more quickly target and contextualize pertinent data in real-time. Dr. Steven Chan: Dr. Steven Chan serves in the functional role of Chief Architect for a government resiliency project, which focuses upon baselining and aberration detection. His presentations and lectures have been featured at the White House, National Research Council of the National Academies, Aspen Security Forum, Todd Lecture Series, and a number of United Nations venues. Dr. Chan focuses on the nexus between the Industrial Internet, Cybersecurity, and Cognitive Computing. He serves as a reviewer and presenter for the Institute of Electrical and Electronics Engineers (IEEE) Access in the area of cyber security as well as various other IEEE venues (e.g. IEEE Smart Grid Utility Cybersecurity). He also serves on a number of review committees, such as the NATO Cooperative Cyber Defence Centre of Excellence’s International Conference on Cyber Conflict (CyCon). Dr. Chan previously held academic appointments as a Chief Technology Officer for the MIT Laboratory for the Public Engagement with Science (E-Lab), Chief Software Architect/Fellow within the MIT Engineering Systems Division, and a National Preparedness Fellow within the MIT School of Engineering with a concentration on Artificial Intelligence, Cyber Security, Dynamic High-Performance Computing, and Large-Scale Systems Design. Ford Winslow: Over the past two decades, Mr. Winslow has held technology leadership positions in the Cybersecurity, Cloud, Information Technology, Risk Management, Life Sciences, Financial Services, Healthcare, Non-Profit and Retail Industries, where he has consistently delivered value through the latest break-throughs in technology. ICE Cybersecurity, the San Diego-based firm he founded in 2016, specializes in anti-malware, anomaly detection and advanced cyber protection programs. Session: In order to build a data science function at an existing company, you need to line up products, platforms, and people (3Ps). What are the characteristics of the best data science product opportunities to use as early wins? What are the best platforms for speed and scale of data science model development and deployment? What kinds of skills and culture should you hire for and develop to build your data science team? I will draw examples from three such scenarios, two data science teams that I built in Monsanto R&D and the one I am currently building. 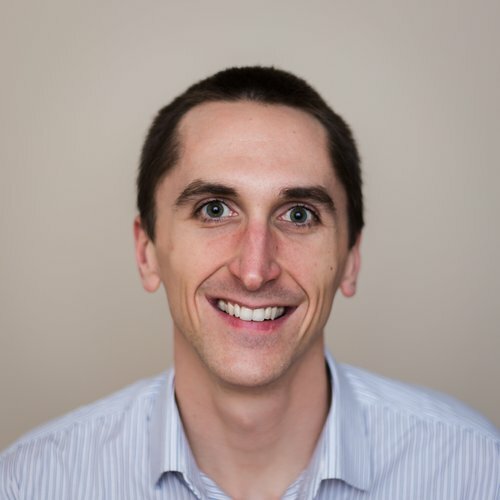 Bio: Barrett Foat is Director of the Data Science team in IT at Centene, a Fortune 100 healthcare company, where he is building data science infrastructure, practices, and a team from the ground up. Foat also built and led multiple data science teams and shaped data science platforms, culture, and practice over 8 years at Monsanto. Foat has a Ph.D. in biology with expertise in computational genomics. Foat was performing predictive modeling on big data before "big data" and "data science" were terms, since 2002. Come chat over lunch for an informal foray into how AI will impact society. Informal discussion about the state of diversity in data science and tech. Session: The currency of tomorrow isn’t what you think: It’s not cold hard cash, precious metals, land or even cryptocurrency – it’s data. In the very near future, every company in the world will either buy or sell data as this corporate asset continues to gain value. But, it’s not enough to have access to vast amounts of data, you need to understand it and use it. Transforming data to business value is harder than many companies thought it would be, requiring deeper resources, more expertise and harder work than expected. This session will detail how Intel builds AI systems that can access and analyze large datasets so businesses can take advantage of the explosion of data as the fuel powering digital transformation. Melvin Greer, Intel Chief Data Scientist will describe how artificial intelligence and machine learning help transform data effectively and deliver experiences people have never seen before or imagined. Bio: Melvin Greer is Chief Data Scientist, Americas, Intel Corporation. He is responsible for building Intel’s data science platform through graph analytics, machine learning and cognitive computing to accelerate transformation of data into a strategic asset for Public Sector and commercial enterprises. Mr. Greer has been named a 2018 AI Executive of the Year by Washington Executive. He has been awarded the 2017 BDPA Lifetime Achievement Award and the 2012 BEYA Technologist of the Year Award. 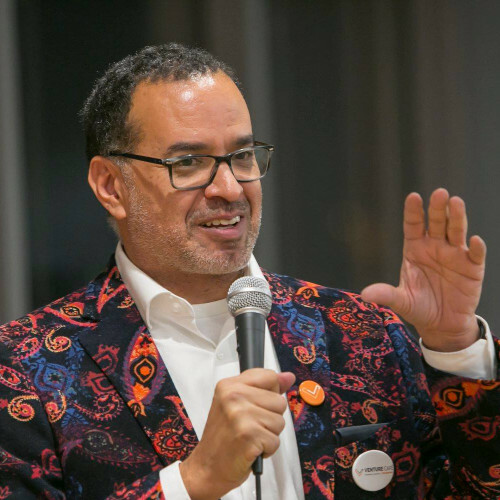 Melvin is also a Professor in the Data Science program at Southern Methodist University (SMU) and Adjunct Faculty, Advanced Academic Program at Johns Hopkins University. He functions as a principal investigator in advanced research studies, including Nanotechnology, Additive Manufacturing and Gamification. Session: Over the past 2 years the evolution of Machine Learning has made monumental advances and the changes are only accelerating. Some of these advances are due to the ability to automate the selection of the correct algorithms, which enables faster time-to-value for solutions. We will explore these ideas in the context of the Big Squid SaaS platform, which automates much of the workflow involved in training machine learning models and putting them in production. Bio: Jorge Zuloaga got his masters in mathematics from the University of Waterloo in Canada and his PhD in computational physics from Rice University in Houston, TX. His work in computational mathematics and physics has spanned several fields, from particle physics to healthcare, and beyond. Session: This session will discuss how one gym software company leveraged AI/ML to transform how it delivered value to their fitness facility clients. It will introduce how the business case was created and how specific high value business use cases were identified to achieve the business objectives. The discussion will focus on how machine learning was leveraged to predict member and club churn to optimize the overall member experience and optimize gym operations. This includes how metrics were leveraged to measure success in both of those areas. The discussion will highlight lessons learned and challenges faced during this transformation on both a business and technical level including how UX and machine learning were brought together to deliver this solution to a non-technical fitness user community. 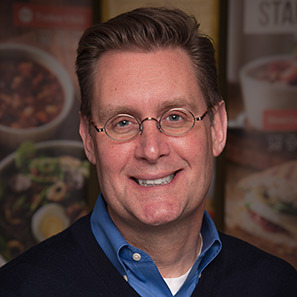 Bio: Andy is a technology leader with over 25 years of experience in organizations ranging from startups to mid-size public and Fortune 500 companies guiding their strategic business and technology initiatives. Has repeatedly built and run high-performing organizations that have delivered consistent business results and world-class customer experience. Expertise in delivering data-driven, mobile-first SaaS based solutions in a variety of industries. Sought after public speaker around enterprise transformations that leverage advanced data and mobile solutions. Currently serving as a Digital Strategist at Valorem. Session: This session focuses on extracting invariant features for segmentation of 3D models of mining sites. The image data is generated by stitching together geotagged images from the drone. The 3D model is then generated by applying stereo reconstruction using structure from motion on the images. This reconstruction gives a dense 3D model with RGB data corresponding to the point cloud. There are a limited number of features for Point Clouds. The mining site terrain are mountainous in nature and thus the image loses a lot of information even within the RGB space. In this presentation, we discuss ways to best utilize both 3D and RGB data to extract features with high discriminability and in-variance using machine learning.This approach shows accurate segmentation of the mining site. A segmented site can be used to provides key insights - to ore deposit locations, drill hole deviations, safety and hazard warnings. 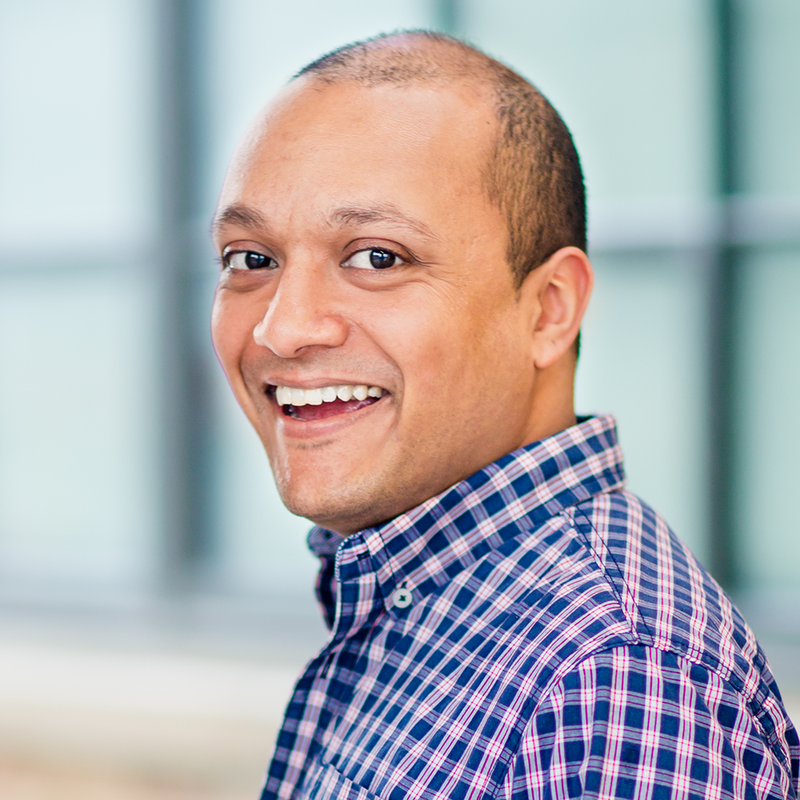 Bio: Ravi Sahu is a founder and CEO of Strayos. Before founding Strayos, he spent more than 10 years working globally with Fortune 500 companies in various roles, from product management to building successful teams for large digital transformation projects. He is also a product mentor and advisor to several venture-backed companies. He holds an MBA from Washington University in St. Louis and a bachelor of engineering degree in Computer Science from an University in India. Resources for being systematic about ideation around algorithmic experiences. A taxonomy to support which and how certain design decisions should be made in implementing human-in-the-loop teaching/learning products. Strategies for how to discover the cases where algorithmic products fail to meet user expectations and to design appropriate contingencies for these cases. Use of a Cooperative Contextual Bandits algorithm in a “co-creative” product for visual designers Additionally, we'll provide examples of how to use appropriate combinations of Social/Collaborative, Conversational, and Spatial/Immersive capabilities to supplement that algorithmic core for state-of-the-art, early-stage products in 2019. Bio: From his beginnings at Apple, to a hit consumer Mac app and Apple Design Award, to a NY Times feature and O'Reilly Media Award for pioneering Social Software, to top-tier startups funded by the likes of Benchmark and General Catalyst, to building teams or leading major redesigns for Graybar (F500) and Scottrade, Robb's a veteran product innovation leader with a passion for stats, data, and great experiences. Session: After building numerous voice integrations and custom skills for businesses on platforms like Amazon Alexa, Google Assistant, and Microsoft Cortana; Bob will share the latest stories, use cases, and insights the field. Bio: Bob is the Founder and CEO of VoiceXP, a St. Louis based software as a service company that's 100% focused on voice platforms like Amazon Alexa, Google Assistant, and Microsoft Cortana. VoiceXP is an Amazon Recommended Agency and Advanced Amazon Partner that's leading development for enterprise business and brands who want to increase productivity, efficiency, and drive sales & marketing using Voice technology in Amazon Alexa. Session: Predicting protein 3D shapes is useful to diagnose and treat diseases believed to be caused by misfolded proteins, such as Alzheimer's and Parkinson's. In this talk, I will discuss how deep learning has pushed the field and has shown new hopes. Bio: Badri Adhikari is an assistant professor of computer science at the University of Missouri-St. Louis. His research interests are deep learning and protein structure prediction. Session: This panel of leaders in the technology investment space will delve into the impact that AI is having on new ventures. Investors are expecting large returns from AI enabled business models, but how and why? And what are the pitfalls and challenges that one should keep in mind? Session: Semantics is linguistics and natural language processing to help make sense and meaning of the world around us. In visual analytics, using principles of semantics can help improve the meaning and overall cognition of a visualization to the user. In this talk, we will discuss how we are thinking of adding semantics to help enrich various aspects of the visual analytics workflow. By incorporating and inferring general concepts to empowering users to add domain-specific knowledge, semantic governance can bring more meaning to the analytical experience. 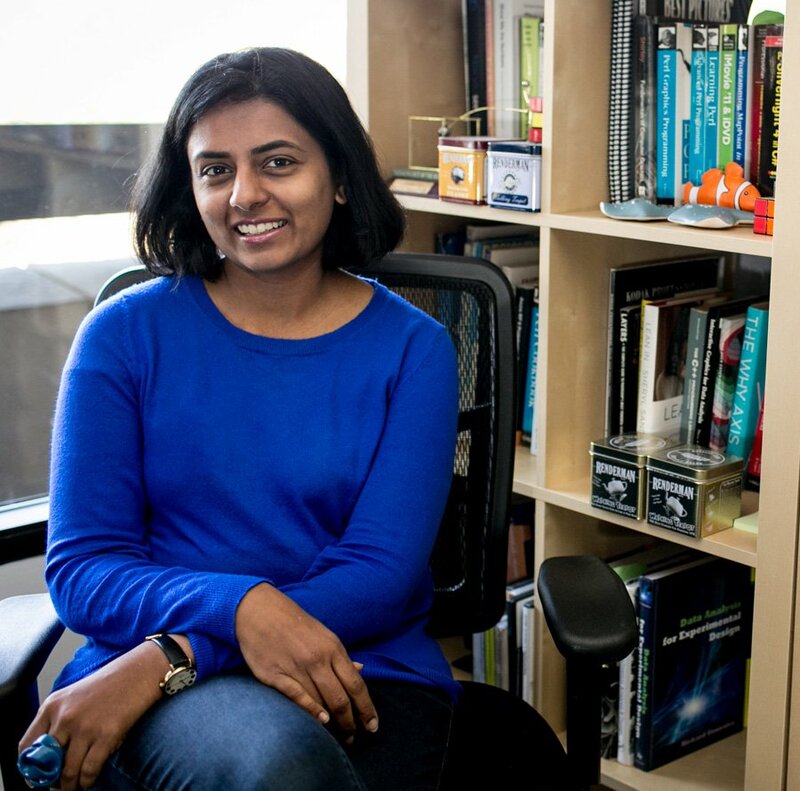 Bio: Vidya Setlur is a manager on the Natural Language Team at Tableau Software, and works out of the Palo Alto office. Previously, she was a staff research scientist on the research team and prior to joining Tableau, worked as a principal research scientist at the Nokia Research Center for 7 years. She earned her doctorate in Computer Graphics in 2005 at Northwestern University. Her research interests lie at the intersection of natural language processing (NLP) and computer graphics, around semantics and visual interfaces. At Tableau, Vidya works on natural language interfaces to help enable analytical conversations with data. Session: AI and machine learning are technical fields, which can mean they are siloed to data scientists and engineers. This limits the awesome potential of AI. If we instead view AI as a new tool for everyone to use, it will lead to an explosion of creativity in AI’s uses. In this session, we will explore how companies can expand their thinking around AI’s uses and how they can activate their whole staff to be AI advocates. Bio: Jesse Wolfersberger is the Chief Data Officer for Maritz Motivation Solutions. He leads Maritz's Decision Sciences team, a group of data scientists who specialize in merging the fields of behavioral science and artificial intelligence. Jesse's career started as a sports writer, before jumping into marketing as Director of Consumer Insights for GroupM's digital media think tank. In his free time, Jesse uses his data skills in the baseball world, where he consults for a Major League team. Session: This tutorial will give users a basic understanding of (Py)Spark and guide users through an end-to-end example, data science, pipeline. The tutorial starts by exploring why Spark is so popular and the basics of distributed computing. We will then dive into Spark, Spark’s Web UI, and bottlenecks created by using a distributed architecture. The tutorial will conclude with a machine learning model built using PySpark. Attendees are encouraged to navigate to www.danvatterott.com/presentations/pyspark_tutorial for instructions on installing a Docker image containing the tutorial. Installing Docker and the tutorial image will take ~30 minutes, so please do this before the presentation. Anyone interested in learning about Spark will benefit. Familiarity with python is necessary. Bio: Dan received his PhD from the University of Iowa and did a Postdoc at Columbia University. 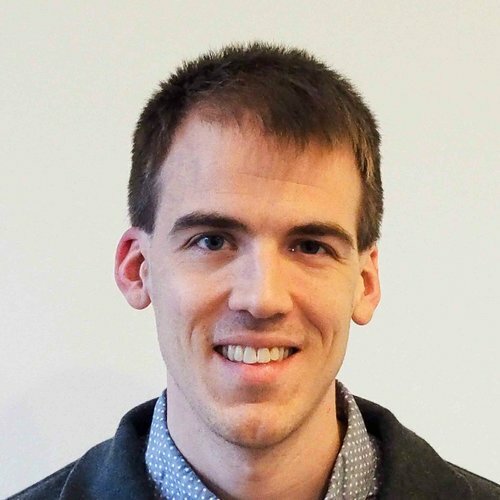 Dan is currently a Data Scientist at Showtime Networks Inc where he uses Spark to build data pipelines and production machine learning models. Session: AI as a standalone goal is often difficult to achieve. It's always part of a business process. In this session, we explore the future of hybrid human/AI workflows - defining how the hooks, triggers, frictions, expectations and actions might actually work. 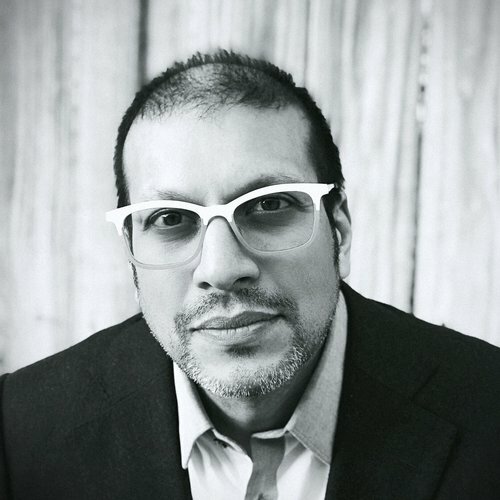 Bio: Amit Kothari is the CEO of Tallyfy. He spent over a decade in London, working on process improvement projects and disruptive technologies for some of the largest companies in the UK. Tallyfy is beautiful workflow software that turns your daily tasks and approvals into automated, repeatable processes – freeing up your time. Tallyfy went through two leading accelerators in Silicon Valley - 500 Startups and Alchemist, and has raised $2m to date from investors in St. Louis and Silicon Valley. Session: There have been tremendous gains in the performance of Natural Language Processing systems over the last several years, but the majority of research and development has focused on English and a handful of other "major" languages. I will discuss a long-running academic project that involves the development of basic language technologies for many indigenous and minority languages around the world. There are two principal challenges to overcome in this work. The first is purely linguistic: many of these languages have incredibly complex morphological structures, and even models that achieve state-of-the-art results for English can fail badly for these languages. The second involves the lack of training data. Most of the language communities I work with are very small, some having only a few dozen speakers, and so text corpora with millions of words are virtually impossible to come by. I'll discuss some attempts to overcome the lack of data through web-crawling and mining of social media sites, as well as the development of deep learning models that can perform reasonably well in a context with very little training data. 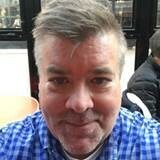 Bio: Kevin Scannell is a Professor in the Department of Computer Science at Saint Louis University in Missouri. He works with language communities around the world to develop computing resources that help them use their native language online. He is particularly interested in Irish and the other Celtic languages, and has developed an Irish spell checker, grammar checker, and thesaurus, as well as dictionaries and translation engines that support Irish, Scottish, and Manx Gaelic. He is a member of the team that provides Irish localisations of dozens of important products including Gmail, Twitter, and LibreOffice. In 2011, he founded the Indigenous Tweets project to promote indigenous and minority languages in social media. How Many Electronic Health Records are Enough for Deep Learning? Session: How much data is enough to build an accurate deep learning model? This one of the first and most difficult questions to answer early in any machine learning project. However, the quality and applicability of your data are more important considerations than quantity alone. This talk presents some insights and lessons learned for gauging the suitability of electronic health record (EHR) training data for a life underwriting project. You will see how to determine if more data might increase accuracy and how to identify any weaknesses a deep neural network might have as a result of your current training data. 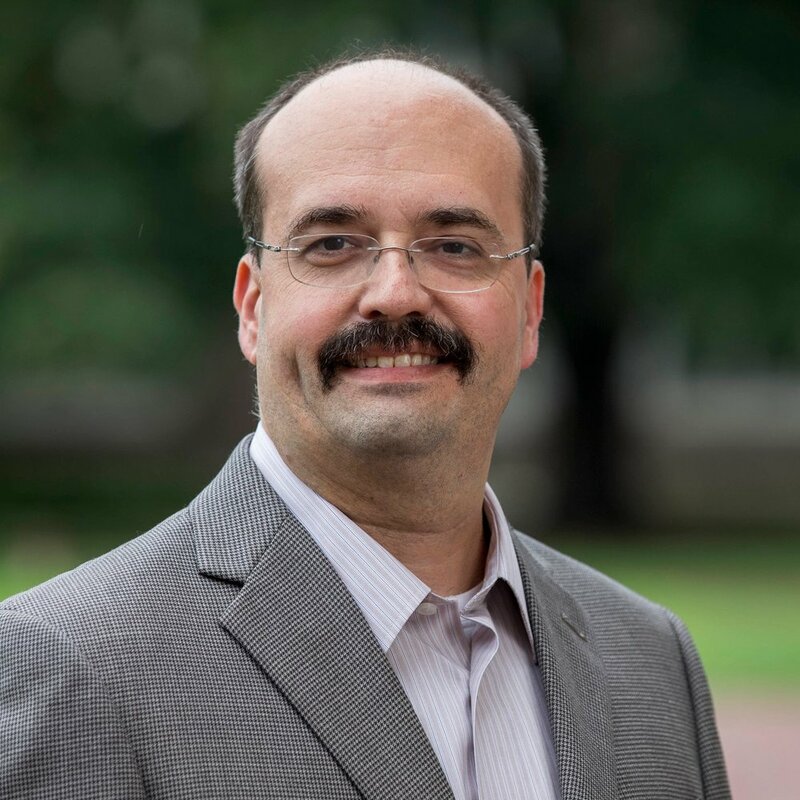 Bio: Jeff Heaton, Ph.D., is a vice president and data scientist at Reinsurance Group of America (RGA) and an adjunct faculty member at Washington University in St. Louis. With 20 years of life insurance industry experience, Jeff has crafted a variety of InsurTech solutions using machine learning technologies such as deep learning, random forests, and gradient boosting, among others. Utilizing electronic health records (EHR) data such as FIHR, ICD10, SNOMED, and RxNorm, he works closely with all stages of model development from inception to ultimate deployment. 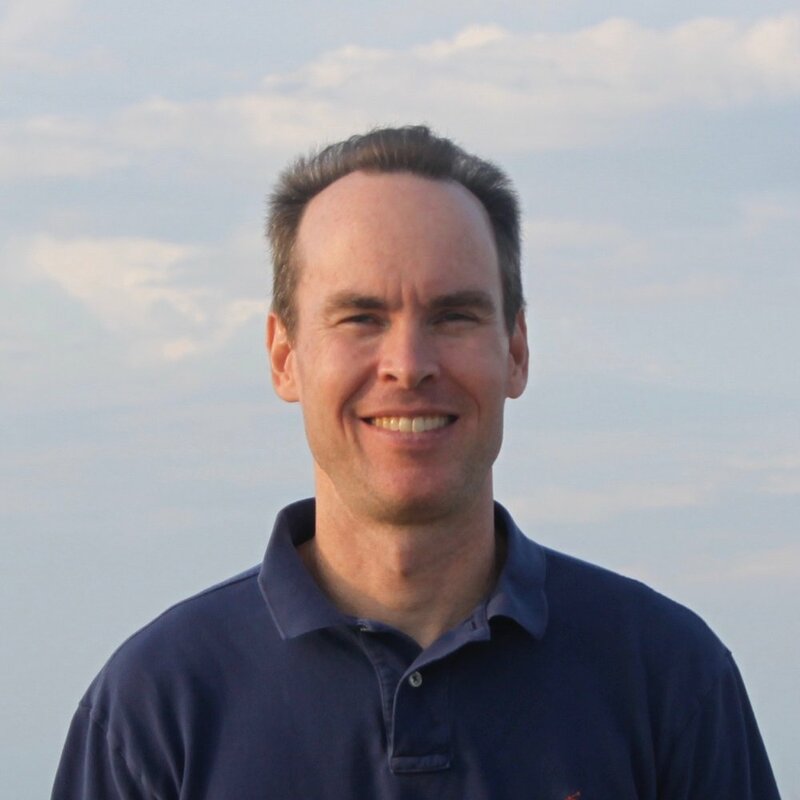 Jeff is the author of several books and has published peer-reviewed research through IEEE and the ACM. He is a senior member of the Institute of Electrical and Electronics Engineers (IEEE) and Fellow of the Life Management Institute (FLMI). Jeff holds a Ph.D. in computer science from Nova Southeastern University in Ft. Lauderdale, FL. Session: The AI for Earth program applies machine learning and data science to hard challenges in agriculture, water, climate, and biodiversity. In this talk, we will discuss how the AI for Earth team, Microsoft Research, and AI for Earth grant recipients are using machine learning to enable precision agriculture, to predict outbreaks of disease, to detect poachers in real time, and to classify animals for conservation. Finally, we will briefly provide details on the AI for Earth grant program to obtain resources for everyone to work on these challenges. Bio: Jennifer Marsman is the Principal Engineer of Microsoft’s “AI for Earth” group, where she uses data science, machine learning, and artificial intelligence to aid with clean water, agriculture, biodiversity, and climate change. Jennifer is a frequent speaker at software development conferences around the world. Since 2016, Jennifer was recognized as one of the “top 100 most influential individuals in artificial intelligence and machine learning” by Onalytica, reaching the #2 slot in 2018. She has been featured in Bloomberg for her work using EEG and machine learning to perform lie detection. In 2009, Jennifer was chosen as "Techie whose innovation will have the biggest impact" by X-OLOGY for her work with GiveCamps, a weekend-long event where developers code for charity. She has also received many honors from Microsoft, including the “Best in Role” award for Technical Evangelism, Central Region Top Contributor Award, Heartland District Top Contributor Award, DPE Community Evangelist Award, CPE Champion Award, MSUS Diversity & Inclusion Award, Gold Club, and Platinum Club. Previously, Jennifer was a software developer in Microsoft’s Natural Interactive Services division. In this role, she earned multiple patents for her work in search and data mining algorithms. Jennifer has also held positions with Ford Motor Company, National Instruments, and Soar Technology. Jennifer holds a Bachelor’s Degree in Computer Engineering and Master’s Degree in Computer Science and Engineering from the University of Michigan in Ann Arbor. Her graduate work specialized in artificial intelligence and computational theory. Session: Demand for resources that are collectively controlled or regulated by society, like social services or organs for transplantation, typically far outstrips supply. How should these scarce resources be allocated? Any approach to this question requires insights from computer science, economics, and beyond; we must define objectives, predict outcomes, and optimize allocations, while carefully considering agent preferences and incentives. In this talk, I will discuss our work on weighted matching and assignment in two domains, namely living donor kidney transplantation and provision of services to homeless households. My focus will be on how effective prediction of the outcomes of matches has the potential to dramatically improve social welfare both by allowing for richer mechanisms and by improving allocations. I will also discuss implications for equity and justice. Bio: Sanmay Das is an associate professor in Computer Science and Engineering and the chair of the steering committee of the newly formed Division of Computational and Data Sciences at Washington University in St. Louis. He is vice-chair of the ACM Special Interest Group on Artificial Intelligence and a member of the board of directors of the International Foundation for Autonomous Agents and Multiagent Systems. Dr. Das has served as program co-chair of the AAMAS and AMMA conferences, and has been recognized with awards for research, service, and teaching, including an NSF CAREER Award and the Department Chair Award for Outstanding Teaching at Washington University. Session: In this panel discussion, we will explore how A.I. can help individuals more efficiently obtain, communicate, process, and understand health information and services to make appropriate health decisions. Technical and non-technical audiences welcome. Bio: Bill is the chief technology officer and cofounder of Prattle Analytics, delivering solutions in finance and other industries. Skilled in Python, R, Data Engineering, and Data Analytical Skills. Strong entrepreneurship professional with a Doctor of Philosophy (PhD) focused in Political Economy and Statistics from the University of Michigan. Session: This session will cover the opportunities for AI in energy and manufacturing including how we created win-win scenarios that encourage companies to reduce emissions while also saving millions in fuel. Bio: CEO of ThermoAI, twice published author, consultant to Fortune 500 companies, and contributor to VentureBeat’s AI section. Session: In this discussion with some of the region's most talented and promising AI-based founders, we'll find out what makes an AI startup tick. How has AI enabled new capabilities that differentiate from traditional business models? How do you source and develop your team, technology, and funding? Is AI out in front with the customer, or behind the scenes?